Either way, let’s talk soap! What is it? How is it made? What the heck is saponification? You have asked me for these details, and as the saying goes: Be careful what you ask for; you just might get it. It is pure chemistry and yet it is pure magic. I never tire of watching my recipes saponify! Picture your favourite soap maker—yours truly, I hope—with 1) a big pot of heated oils and butters and 2) a pitcher of lye and water mixture. Out comes the blender. Blending begins and the mixture comes to trace, which is a soap maker term for “it starts forming into a pudding-like texture”. It is pure chemistry and yet it is pure magic. I never tire of watching my recipes saponify. It is like a magic show and I am like an eager, impressionable, fascinated kid in the front row. Yes, it sure is! Lye, when added to water, becomes boiling hot. The steam that rises from the mixture can be very harmful to your respiratory system and spilling or splashing the mixture on your skin can cause a severe burn. Unexpected visitors to my home are sometimes quite startled when I come to the door in full gear: lab coat, goggles, face mask, lab cap, and my purple safety gloves. Even transporting lye can be a problem; I purchase my lye from a chemical lab in Ottawa and have a courier company pick it up–the caveat being that is must be packaged in a particular style, as it falls under the rules outlined in the Transportation of Dangerous Goods Act. 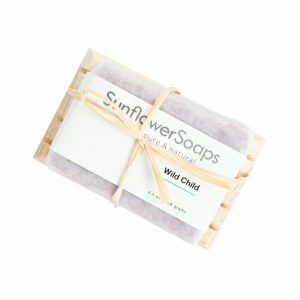 So, next time you run into a soap maker, ask them if they have saponified anything lately and watch their expression magically transform from normal to joyful. Please stay tuned for more blogs to come!